If we want to find out nearby hotels, coffee shop etc on google maps we can find it easily by just right clicking on the selected location and go for search nearby option. The map will show all the nearby selected hotels, coffee shop etc. I wonder how can I do this on a leaflet map with myself. In quest of this question I found Isodistance and Isochrone map APIs. What are Isodistance and Isochrone maps? An isodistance map is a map showing equal distance polygons from a point of interest considering every possible route. For example you decide to go for a morning walk daily for about 1 mile and you want to find out all the possible routes from your house on which you can walk ½ mile and then come back ½ mile, isodistance map is your solution. Isochrone maps are similar to isodistance map but here we consider time. 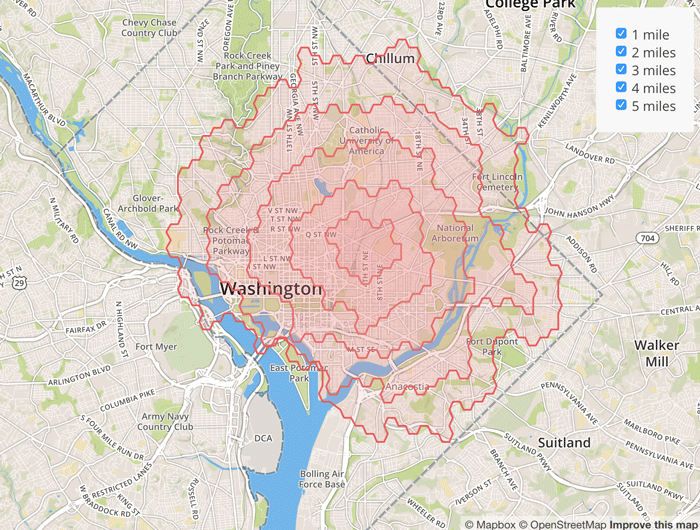 An isochrone map is map which shows lines of equal travel time across a geographic area. As in the below snapshot example if you decide to walk 8 mins daily then you can find how much distance you might cover from your house in 8 mins. 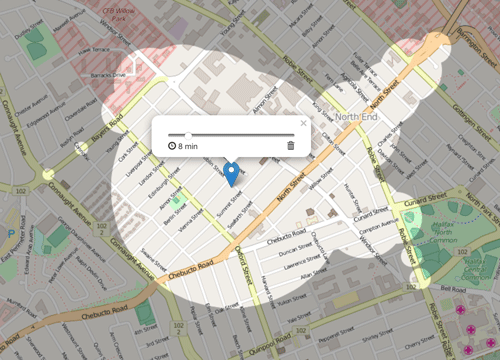 There are two APIs available for creating Isodistance maps. One is MapBox Directions API and another is ISO4APP API. This two APIs can be used with leaflet or google map. 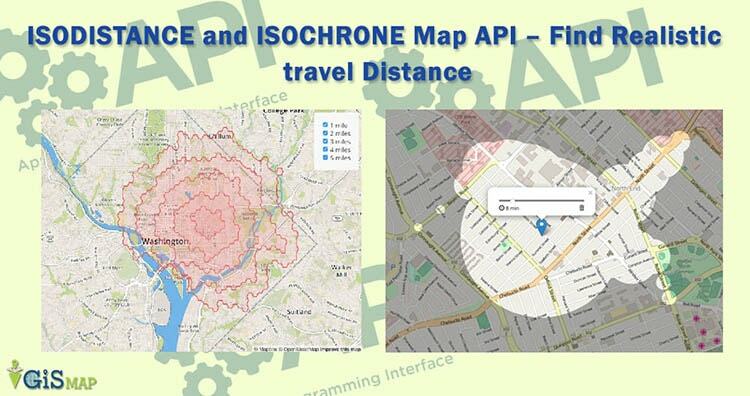 For Isochrone maps there is one API available that is ISO4APP API. What you think about isodistance and isochrone maps? In which situtation are you using this algorithm? Do you know any other api which i have not listed? Do share your answer by commenting below in the area provided.